With the onset of the festive season as well, over 200 tourists visited the site this weekend. 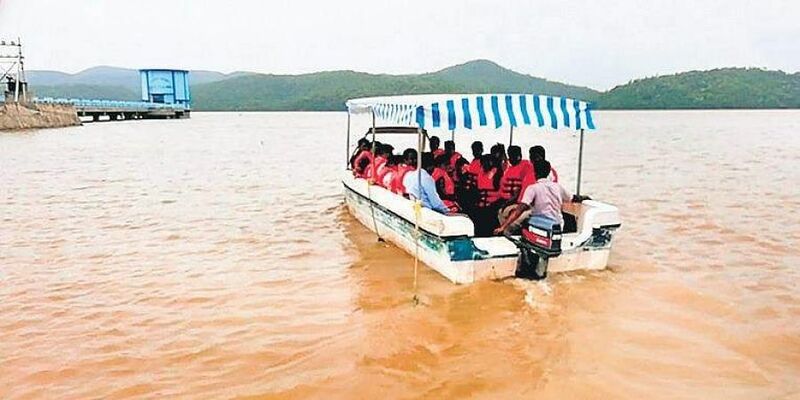 ADILABAD: The festival season, clubbed with the monsoon, has brought a huge turnout of tourists to the Kaddam project in Adilabad district. With the onset of the festive season as well, over 200 tourists visited the site this weekend. Those traveling long distances from Hyderabad city tend to stay in the nearby resorts and visit the Kawal Tiger Reserve or the deer park located close to the project. However, for the locals, the turnout has not been up to the mark. A villager, A Rajeshwar told Express that even though the numbers have increased in the last two years, there is a lot of scope for improvement. The locals are expecting more employment opportunities from the spot especially after development of tourism sector was an important agenda of the outgoing Telangana Rashtra Samiti government. Telangana Rashtra Samiti party supremo K Chandrashekhar Rao had even said that his government was going to develop the Adilabad district like Kashmir of Telangana in terms of attracting tourists and also for the district’s scenic and abundant natural beauty. A tourist from Hyderabad, A Naresh, said that tourists facilities of the project have improved in the last 2 years. Kaddem project is constructed on the Kaddem river, a tributary of the Godavari river, was completed in 1964. It also said that the Kaddam name is after the famous politician Kaddam Narayan Reddy.